The moment something “clicks.” Whether it’s nailing a scene they’ve struggled with or mastering some technical aspect they couldn’t see before, I love seeing a writer’s progress. I’m a combination of direct and encouraging. My biggest goal is to see a writer succeed, so I’m not afraid to push a little harder if it’s needed. YA is my favorite, but also MG, romance, and women’s fiction. I love when a writer has a light-bulb moment and suddenly their work explodes in a way it hasn’t before. Seeing writers improve is my favorite part. 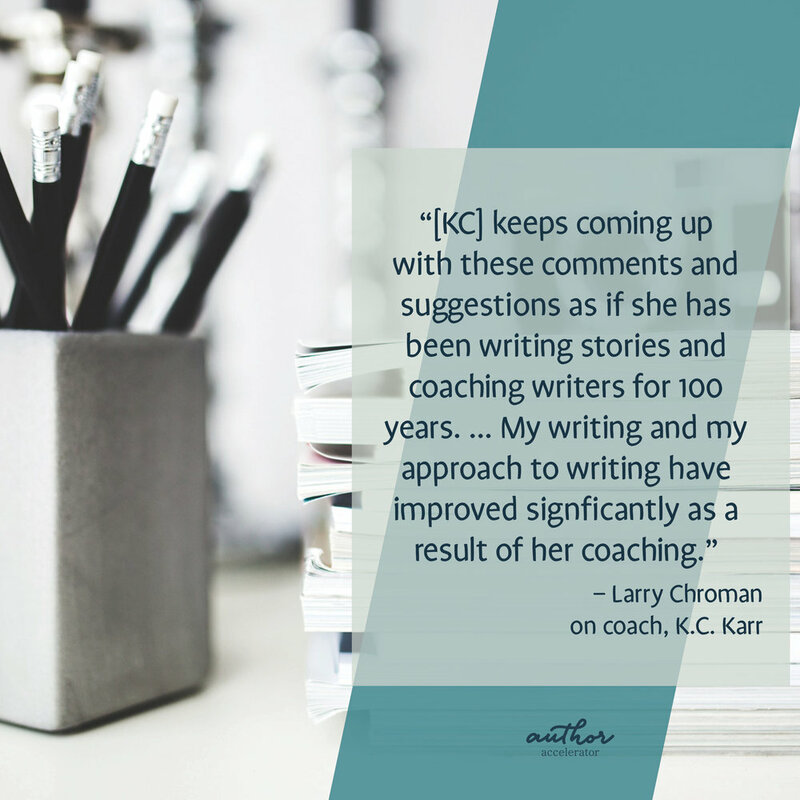 What do you believe is the most prominent difference between an editor and a coach? I think it’s the emotional aspect. I’m not here only to grill writers about grammar, I’m here to make sure they write the best story possible, and that involves not only fixing mistakes, but making sure the writer is encouraged, too. I want someone who is serious about writing. Finishing a novel isn’t something you can do without dedication, so my ideal client would have writing goals and be open to developing a plan to make them happen. They want a coach who is honest and provides tough love. When writers I’ve worked with thanked me in a public manner. Feeling like I truly made an impact on a writer’s career is the best, most rewarding feeling. Seeing my clients get requests from agents! It all started when a friend gave me a copy of Wired for Story by Lisa Cron. When I learned Lisa had classes with Author Accelerator, I was sold! YA is my favorite, but also women’s fiction, thriller, and some fantasy and sci-fi. John Green – I find everything he does so inspiring. I just want to absorb some of his awesome! I currently have a project on sub with editors, so I'm anxiously awaiting the “big book deal” I've always wanted. So that, plus more time to write! I wouldn't say no to having an NYC best seller! It’s always been a dream of mine to sign my books at Book Expo, so I’d like that as well. I leaned strongly toward being a lawyer or a psychologist, but I ended up getting a cosmetology license and going to ultrasound school. My tastes are varied, but I do wish I would’ve gotten that psychology degree. I’d also like to learn how to fly a plane someday. I have a day job where I work 8-4:30 scanning ultrasound patients. I often work on writing stuff during lunch and after work. I have a 10-year-old son and a husband who also like to see me sometimes, too.